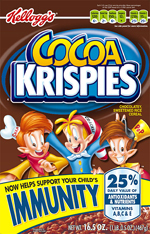 (NaturalNews) The world of bizarre nutritional claims by sugary cereal makers just got a little more weird this week when Kellogg's began shipping boxes of Cocoa Krispies emblazoned with the ridiculous claim, "Now helps support your child's IMMUNITY." If processed white sugar, partially-hydrogenated trans fat oils and synthetic chemical vitamins could enhance human immunity, Kellogg's would be King of the Hill, but in reality, of all the many foods for boosting human immune function, Cocoa Krispies somehow isn't even on the list. In fact, you might say that Kellogg's claim of boosting immunity with a sugary cereal sprayed with synthetic vitamins is one of the most hilarious claims yet floated by a cereal company, but what's definitely not funny is the fact that the FDA openly allows this deceptive, fraudulent food labeling to continue even while threatening, arresting or prosecuting nutritional supplement companies that make similar but true claims. For example, it's illegal in America to claim that vitamin D boosts immune function (even though it does), but it's perfectly allowable for Kellogg's to claim their sugared-up Cocoa Krispies boosts immunity (even though it doesn't). What's wrong with this picture? Why doesn't the FDA (or the FTC) send threatening letters to the CEO of Kellogg's, threatening them with arrest and prosecution while confiscating Kellogg's cereal inventory for "misleading labeling?" This is exactly what the FDA would do if the product in question were an herb or a bottle of vitamins. Somehow, Kellogg's gets away with outright labeling fraud while regulators twiddle their thumbs and pretend to be doing their jobs. By the way, you might be curious why Kellogg's thinks they can make such a claim on a box of Cocoa Krispies. The front of the box loudly proclaims "25% daily value of antioxidants & nutrients, vitamins A, B, C & E." This, apparently, is the basis for their claim. Except they aren't using actual food-based vitamins A, B, C and E. Instead, they're using synthetic, artificial chemicals that have been given the names "Vitamin B12" or "Vitamin C" and so on. These aren't holistic vitamins like the ones found in nature. They're synthetic, sprayed-on nutrients concocted in a chemical factory somewhere. To even call them vitamins is an insult to real vitamins found in real food. Cocoa Krispies isn't even real food, if you ask me. It's a nutrient-deficient, highly-processed, sugar-laden source of empty calories. To claim it "supports IMMUNITY" is so far-fetched that you'd have to be living in some alternate universe to even think about believing it. As one person quoted in USA Today said about this, if Kellogg's can claim their vitamin-sprayed sugared-up puffed rice boosts immune function, then you could spray synthetic vitamins on a pile of leaves and make the same immune boosting claims about them, too! Highly-processed sugary cereals are not medicine. 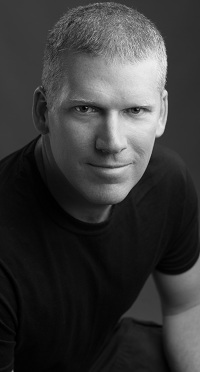 They do not enhance or increase human immune function. If anything, the high acidity of the sugar used in the product causes the body to become more acidic, which suppresses immune function. I'm willing to bet that if you take a hundred people with the healthiest immune systems in the world, you won't find their pantries stocked with Cocoa Krispies. Eat more sugar as a defense against swine flu? It's clear that this package claim by Kellogg's is aimed at all the flu-conscious parents who are worried that little Johnny might get infected and die from swine flu if he doesn't get his vaccine shot and eat his Cocoa Krispies. Then again, if Cocoa Krispies can boost immune function, we do kids need vaccines at all? The H1N1 vaccine itself, by the way, is just as ridiculous as this Cocoa Krispies claim. Neither one offers any real protection against the flu, but both are being hyped up as strong solutions. Maybe they should give away a free box of Cocoa Krispies with every swine flu shot just to double up on the protection, huh? For years, the FDA has betrayed the American people by allowing ridiculous health claims on the packages of processed dead foods that have been chemically augmented with synthetic vitamins. Meanwhile, real foods like broccoli, blueberries and citrus fruits aren't allowed to make any health claims whatsoever. Is it any wonder that America has so many sick people? Most of the information presented to consumers at the grocery store is the opposite of what's real! Junk food is good for you! Living foods are dangerous! Raw milk might kill you, but drink this pasteurized homogenized processed milk because it builds strong bones! Here, buy this "Smart Choices" processed food, it's healthy! We have become a nation of idiot information about food. It's like in the movie Idiocracy where the population is convinced that water is "for toilets" and that only sports drinks beverages are safe for human hydration needs. It also makes you wonder about the intelligence of the consuming population: Are there really moms out there who think that buying Cocoa Krispies will boost their childrens' immune function? If so, we don't merely have a problem with misleading food labeling in America today; we have a problem with widespread nutritional illiteracy. And it's caused in part by the fact that our kids can't learn well in school these days because they're being fed processed, sugary junk foods like Cocoa Krispies for breakfast.